Are you investing in the right places that have real demand? 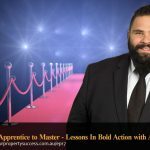 In episode 6 of Your Property Success Podcast we discover the incredibly easy ways to uncover opportunity by understanding suburb trends and the behaviour that drives them. Australia’s best known futurist and social commentator Bernard Salt shares invaluable insights as we dive deep into the story behind the figures affecting the future of the Australian property market. There’s no point buying a property unless you have the end buyer in mind, that gives you your value. Understanding social change is knowing where you’ve been and then being able to see a pattern. You need to look at the numbers and then forget them. The numbers are boring, what’s the story behind the numbers? And now, here’s your host, who, on her first day of school cornered the principal to complain about the toilet paper, Jane Slack-Smith. Jane Slack-Smith: Oh, I must confess it is, it is. It was a tiny little school in Cobbitty just outside of Camden. I think there was about 40 kids in the school. John: Yeah, but what was wrong with the toilet paper? John: That was very nice of you. Jane: I know. Always thinking about this. John: Yeah. I can say that. 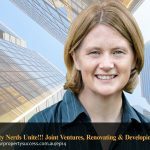 Jane: So, a big welcome to Your Property Success Podcast and episode 6. Thank you for joining us today. We really appreciate you taking the time to be here and I for one am really excited about what’s coming up on today’s show. So John, before we get going today, I want to ask you question. John: Uh, I’m guessing you’re not talking about the orange vegetable that our American cousins wear on their head this time of year? Jane: No, I’m not. It’s actually a certain type of person leaving in a really nice suburb. Jane: Okay. So what’s a hipster? John: Oh, I know what hipster is because I live in Brunswick and I was playing hipsters there. Jane: Okay. What about a KIPPER? John: Nope. Don’t know what KIPPERS are. Jane: Well, they are another group of people within the Australian population that you are going to learn more about in today’s episode. And do you know what a cougar is? Jane: Okay, I’m going to stop you right there. So for those listening, you’re probably wondering what any of this has to do with property investing, right? Jane: Well, it has a lot. But before I answer that question, John, I want to ask the audience a question. John: Okay, go for it. Jane: Do you know who lives in the areas that you want to invest in and what’s driving their behaviour and why do you think this might be important to ask as property investors? John: Ah, good question. Yeah, I think I know where you’re heading with this. You’re talking about suburb, demographics, and the demand in the area for what you want to achieve, right? Jane: Absolutely. So, for today’s episode, John, I thought we’d pull out the big guns, I mean, who better to talk to us about demographics and population trends in Australia and how all of this relates to property investing than futurist and social commentator, Bernard Salt. John: Yeah, absolutely. I love hearing Bernard speak and reading his articles. He’s a really funny guy and he has an incredible knack for taking complex stuff and making it a good fun and easy to read too. Jane: Yeah. He really does. Well, you probably heard about Bernard or read his articles in the newspaper or seen him to TV. He has lots of practical information. He will be sharing with us about the social trends affecting the Australian property market both now and into the future. Things like how population hubs and large scale infrastructure projects provide opportunity for us as investors. How to read employment trends and what Australian employment is likely to look like in 20 years’ time. How to avoid reading data incorrectly and making a false interpretation that negatively affects your property investment. The impact of downsizes in the property market and the opportunity that will exist for us as investors. And how the Australian population is growing at record rates and what this means to us. Plus, he’s going to tell us about PUMPCINS, hipsters, KIPPERS, and cougars and what they have to do with property investing. So by the end of today’s episode, you will not only know which areas are right for you and have a demand for your strategy but you’ll also know how population trends can really accelerate your investing. So folks, settle in for chat or today’s delightful guest, Bernard Salt. Jane: Hello Bernard and welcome. Jane: Well, it’s great to have you here on the program and I’m going to ask you straight up, what kind of things can a study of social patterns and demographics do for us as property investors? Bernard: Well, I think that better understanding demographics really give you an idea of the sort of market. There’s no point buying a property unless you have the end buyer in mind that gives you your value. You want as many people to compete for your property as possible. And so, if you pick the demographic right, then you’ve got an aspirational group of people trying to compete for your property. And that might be middle class people out in the suburbs or it might be yuppies or dinks or hipsters. For example, or sea changers who are after a particular type of property depending on the location. So, understanding demographics and social change is very important. Jane: So obviously, we’d love for you to teach us how we can use some of these things to our advantage. However, before we get into that, I want people to understand who’s Bernard Salt, where did you come from, and a bit about you. Bernard: Okay. What would you like to know? Jane: Well, you know, obviously, you’re demographer and I did statistics at university and I have to say it was pretty boring and dumb and you made it all very interesting for me when I first [seen 00:05:35] some of your writing. Jane: It’s just a problem that a lot of us have. Bernard: -probably best that I get out with the teaching if I can’t stand it. So, no, I didn’t have any patience, sitting on the end of their seats. So I thought, “Ah, get back to university and do another degree” which is what I did. Jane: Right. And I’m glad you did because obviously now you’re educating us and I think one of the things that I love about being a property investor and looking at some of the information is that it is a lot about history isn’t it? Bernard: Well, it’s a lot about history. I mean, I think that understanding social change is knowing where you’ve been and then being able to see a pattern. We were back there in the 1990s, here we are in the 2010s, this is probably where we’re going to be in the 2020s. So you do know that sense of time. I thought that everyone had a great sense of time and that they could think back in years and decades or whatever but I’ve since learned that a lot of people live in the moment and the past is just a big fussy bucket whereas I see the past like a filing cabinet: This happened, then that happened, then this happened, then that happened. And you need that filing cabinet mind in order to say what is the trend because if everything’s just one big mush of events and you don’t know quite know what preceded what, then you can’t see the trend. Jane: And obviously, you left teaching and went back to university and joined KPMG? Bernard: -the most untrend suburb for this reasons. So it’s just humanising demography on there. Jane: And I think that such a school because a lot of people look at the numbers, they look at the statistics and I just said, I imagined those shopping centre owners could then look at that and go “Well, let’s put that in context to our next purchase. Let’s try to target an area that has kind of change that you can see. Bernard: Well, I think, for a shopping centre management, it was really important. It’s not so much that they, say, they buy shopping centre once every ten years, you know, they’re trading them. But it was very important to know what sort of shops to put in there. And so, if it was gentrifying, then they might have stuck in Country Road. This is back in the 1980s. Country Road is a wonderful retail institution today. But it might be a Zara or whatever the latest funkiest, grooviest, edgiest fashion shop is today. I clearly don’t know. Jane: It’s okay. You’re doing well. Bernard: My fashion taste is still back in the 1980s. Jane: Well, let’s move on. 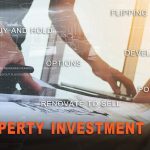 It’s great to have you here and to explain to us who don’t see all this insight around how we can apply this as property investors and I have to say, for me, demographics is, I feel, has been my secret weapon because I think many investors just don’t take advantage of the wealth of information that’s available today. And things like, where the renters are living and where they’re working and how they get to work and what property type they want to live in, and all of this can be underpinning of a well-performing property portfolio. 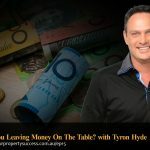 So for me, this episode is really important because I feel like I’m probably lifting the curtains for many people and having a secret resource of information that they can use as property investors. So, today, we’re going to discuss how Australia is changing and how, as property investors, we need to adapt and identify the opportunities that are coming our way. So, Bernard, you describe yourself as a futurist. What is that? Bernard: Well, I suppose a futurist is the opposite of an historian but it’s the same principle. So my master’s thesis was on city growth and development in Australia, so the evolution of Melbourne. Social change in Melbourne from when it was established through to the federation. So, a historian, looking back over time. A futurist is exactly the same. Instead of looking back, you’re looking forward. If you’re trying to say, well, Australia was an Anglo country it’s known then an Anglo Mediterranean Greek Italian type country, it’s going to have stronger Indian and Asian influences maybe African, Arabic influences in the future. So it’s the same principle from a high altitude trying to interpret the way thing were, the way things are, and the way things might be in the future. I don’t see any difference between a historian and a futurist. Jane: So how did this all begin for you? How did you start putting all this together in place with looking to the future with the information that you had in the past? Jane: To make a call. Bernard: Not about—I have always had an interest in Australian history and geography and city growth and development. I’ve also had a natural interest in generational change and I suppose that leads to a quite patriotic element to my thinking. Yeah, very interested in Australia, where it’s going, its welfare, its well-being. And so, if you put all the together, it’s a matter of taking your skill base and applying them to the questions that confront you at the moment. And the moment, I think that we’re at a quite a crossroads in Australian history and the things that are occurring to me, what is Australia going to look like in 2020? Is that jet going to blow out? Australians don’t seem to be concerned about reigning in their spending. What sort of generation, what sort of country we are going to leave our kids in the 2020s. Jane: Which is not that far away really, is it? Bernard: No. It’s only five years or so, but again, I think that you apply your own skill set to whatever the circumstances are at the time. Jane: And I guess it, I know just looking at information as a property investor, all of a sudden, sometimes things just become clear. You apply what you know from the past and you project on what you’re seeing and all of a sudden, there’s a pattern that emerges doesn’t it? Bernard: It is. I think that you do need to give it consideration though. You do need to apply your mind to it and I suppose my suggestion would be to consume as much information as possible. I joke with my staff. I will ask them to hunt down some figures and also what time frame and I’ll say 1990 to today or earlier if you can. Their joke is that no amount of information is enough information for Bernard people, always ask for more. If I can get 10 years data, then what does 20 years look like? What does 30 years look like? And I think that’s true of anyone in business. As much information as you can get to distil a dam, to build a picture. More is trying to build a picture of what this is saying. Jane: So make it clearer. Jane: So, you’ve developed your own unique brand of method of looking at social trends. How did you start to form these ideas into a system? Bernard: Well, I think in communicating demographics, you should never really be fussed about the numbers. You need to look at the numbers, then forget them. The numbers, there is a story in the numbers and I always say, the numbers are boring, forget the numbers, what is the story behind the numbers. So, this suburb’s rising, why is it rising, what’s driving it, what is the social story, what’s the—And so, if you speak to an investor who’s got millions of dollars to invest, they will want to know the story behind it. Yes, what do the numbers say, but why are the numbers behaving in that direction because if I can understand the way in which the numbers are behaving, then I can have confidence that they are going to continue in that direction. So, you need to develop a narrative around the numbers, develop a story, convert the numbers into a story, and you have investors and you have the average Australian suddenly becoming interested. Bernard: Well, I always like to have some fun and I’ve worked out that if you have an audience of an hour, no one could be serious for an hour. I’m sorry. You’ve got—you’d have light and shade. And so typically, in my presentations, I will deliberately inject, it is about the 15-minute mark, let’s lighten this up. And you can see the tension release in the audience and we are in laughs and they re-engage. I always feel that I have to compete to hold your attention. Either it’s very very significant and important or it’s more of an engaging. The other thing is, don’t underestimate just being pleasant and smile and being engaging. People love that. They respond to it. Jane: The engineer in me is always looking for the next graph though that you’re going to put up. Jane: I have to confess. Well, obviously, today, you’re a well-known face in the media, you’re a very popular Keynote speaker. Do you remember when you started to feel that there was a message about demographics that the public wanted to know about and you started sharing it? Bernard: Yeah, I felt it was the late 1990s. I was already speaking at a couple of conferences, maybe one a month throughout the year, the late 1990s, doing it pro-bono just for the experience and because people ask me. Jane: Which is always nice. Jane: Exactly. I think about 15 years ago, there was a point there was some information around “you more likely to be hit a bus than find a man” or something. And then you started talking about man drought, and I was sitting around with friends going, “Ah, so true.” There you go. The first person who has actually put a term on it. Bernard: Well, I actually did the numbers and proved that there is enough men out there, it’s just that women’s bar is often too high, and little product available. Bernard: I actually, and of course I wrote a book looking at all at demographics of males and females in different age groups or whatever. Jane: This is the Big Shoe? Bernard: Oh no, this was called Man Drought. Bernard: In 2008, I think it was, it was. And I was doing interviews with the BBC in London, interviews in Ireland. I did an interview with French radio. I don’t know how they interpreted what I was saying but the idea of a man drought in Australia, you’ll be pleased to know that all of these Europeans were gladly offering to help out in the colonies. Bernard: They have. Yes, they have indeed. Jane: So, how has what you’ve learned in those early days evolve to what you’re doing today. Obviously, doing more media, you’re doing more talks. Is that because there’s a real need out there for someone to be the spokesperson for the numbers and make it more human. Bernard: Yeah, I think that there’s a natural curiosity in Australia for where we are in a way that is not sort of the bank economist’s view of the world and that’s very important. But I’m like another dot point, yes we need the bank economists and we need to know what always very serious people are saying but what are our values? What’s our thinking? What’s our preferences and priorities? And initially, I thought, “Well, this is just sort of an add-on” but in actual fact, the more I think about it, the more I think that it’s actually driving the behaviour of modern Australia. I think that we’re sick of austerity and so the values or behaviour or thinking not the demographics, not the economics is driving Australia, it’s how we feel or what we think or this lifestyle that we think we’re entitled to that’s driving our behaviour. Jane: It’s interesting isn’t it because often the perception may not be reality but it’s perception that can actually create the future reality isn’t it? Bernard: Exactly, that’s right. Now, well, in fact all of this is sustainable and that is another issue but in business, it’s not whether this is right or wrong, it’s “Are Australians thinking this way?” They prepare to take on more debt now. They probably are. What does that mean for the housing market? That’s the logic that really interests business at the moment. Jane: And it’s good though to see over the last few years that as Australians, we’ve increased our savings as well. So there’s been a substantial shift there in debt to kind of counter it doesn’t it? Bernard: –yeah, I’ve had a hard trot. I pay enough tax but actually Jane, I don’t think you’re paying enough tax. You should pay more tax to pay for my entitlements basically. I don’t want government to actually make that happen. Jane: It’s always “the someone else” isn’t it? Jane: So let’s talk about governments and organisations. I mean, how have some of these groups used your predictions and what have been some of the results? Bernard: I’ve spoken to how many government departments in every state and political parties and leadership teams and so forth. I think that they used the results to gauge the mind and mood of Australia. I get the feeling also that a lot of politicians or political parties are very interested simply because I seem to be speaking to a lot of people in business, so we want to hear what you’re saying to business so that we’ve got a good hand on the way they see the world. So the more, I suppose, influence that you have, the more other people will want to say, “Well, why is he being engaged? What is he saying? What are we missing out on? And which is good for my business?” We’re missing on so much. Jane: Exactly. Sign up today. Bernard: Sign up today. That’s right. Jane: So, does that there make it a self-fulfilling prophecy. Bernard: To some extent. Look, it’s an upward spiral. The more you do, the more you do, the more you’re in demand and I suppose it works in the other direction. But look, at the end of the day, I just keep doing what I do and keep refining and changing and evolving my analyses and I certainly practise on the art of presentation. How I’m presenting today is very different to how it’s presenting 10 years ago. And you grow, professionally you grow as you have grown in your business and if you’re teacher or if you’re a plumber, as you go through your career, you get better at what you do and part of what I do is speaking and presenting and analysing and assembling data. Now, as long as I’m engaged by it, I enjoy it. I don’t intend stopping at all. Jane: Well, I enjoy it too. I remember, one of the presentations that you did, you actually did a bit of flip that I never saw coming which is talking about where single women and single men where will their meet. Bernard: Oh, it’s the bachelor hotspot. Jane: Ah, the bachelor hotspot. Every city has one? Bernard: Every one because statistically you can go through the census and I live in Melbourne, so the bachelor hotspot is out in West Footscray where there’s two young bachelors per one young female which are very good odds. I have been told about West Footscray that the odds might be good but the goods are odd, and then more girls than boys, bachelorettes, if you like, in Flemington. So Flemington’s not too far from West Footscray. Jane: Not too far at all. Bernard: They’re separated by the Flemington Race Course, in fact, where the Melbourne Cup is held. So I’ve suggested that the Flemington race course should be changed to the race course of love. Bring together the boys and girls of West Footscray and Flemington. Of course, things like that, which are actually technically correct. Business and audiences get the joke, you know, it’s fun. It’s fun. You could have fun with numbers. Jane: Well, West Footscray. I almost have to write down. Bernard: West Footscray. Well, there’s a bachelor hotspot in every city, so yes. Jane: So you can rate census and find this out? Jane: And that’s about making it fun, isn’t it? Making it human and making it interesting. Jane: Now, I’d like you to move you into some specifics about how we, as property investors, can actually use this information. So not just the fun stuff but actually apply it to making some money and building our portfolio. So how shouldn’t we use this information? Bernard: Well, I suppose, I don’t think that you should be looking at figures or data for a set date. So if there are lots of people, professionals, for example, in a particular suburb, I think that means it’s an upmarket suburb. You should never look at data in one snapshot. You always need to look back in time to see whether it’s rising or falling. It’s the momentum of change that drives value, not just a single snapshot. So, when you look at data like this, never just look at one year. You need to look at a couple of years in order to get a sense of whether this is rising or falling. Otherwise, you might get a very skewed perspective of what is happening in that suburb. Jane: So when we look at census, census happens every five years. So we’d be looking at maybe two or three blocks. Bernard: Well, two, I was 2006, 2011. I was low as two points in order to see in order to see whether this is rising or falling. But basically, what you want to see is a rising market, so if I buy a property in that suburb and it’s rising in terms of its income capacity and its professional population, then I can see well there’s more young yuppies coming into this place, and if I buy it in 2015, then when I want to sell it in 2018 or 2020, there’s going to be even more and they’ll be competing with each other to buy that property. So you need to see whether it’s on the rise, plateauing, or worse, declining. If it’s declining, it means that you’ve bought for a price and there’s just not going to be as many people in the future competing for that. Now, I think, certainly, that would apply to a town that’s losing population. You want towns that are growing because you want more people coming to that town and competing for the existing housing stock. Jane: Which is interesting. I remember sitting through one of your—enjoying, I should say—one of your presentations where you compared you’re looking at population change and in particular, Mount Barker in South Australia 2001-2006 and a huge population change because of an infrastructure change allowed people to have tree change. Bernard: That’s right. That was the completion of the Heysen Tunnel, the Heysen being the artist and Tyson. And a magnificent tunnel piece of infrastructure that was completed about 2002 and then all of a sudden, Mount Barker’s population just shot ahead because Adelaidians worked out “I can be from the CBD into Mount Barker up in the tree change hills in 30 minutes. Why wouldn’t I move up there? Property is cheaper.” And then of course, that had a positive impact on Mount Barker, and when I saw, I thought, that’s interesting. I wonder what other infrastructure projects on the edges of capital cities might change property values and I looked at projects like the extension of the pacific highways south tweed towards Ballina and Barwon. That had an impact. The completion of a bypass road around Geelong linking the surf coast Torquay closer to Melbourne, that had an impact. And even within capital cities like the completion of the M5 Sydney, the orbital, that had an impact in points where the great western highway and the M5 intersected great accessibility certainly for commercial property. So looking for infrastructure developments that are suddenly completed and it changes the value of property in the vicinity is important. Bernard: That’s true. Although lots of these projects are way off into the future, so I know Badgerys Creek has been announced. I like to see people actually working on that. Politicians love to announce stuff. Bernard: Yeah, I will actually put my money down when I see stuff actually happening on the ground. Bernard: You know, one of the greatest industries have been the fast rail between Melbourne and Sydney. I think that’s kept consultants going for a generation. They’ll still be producing reports on that in 10 years’ time. Jane: Well, what are the most significant changes that you’ve seen in the most recent census? 2011 had come out and how could we apply this to property market today? Bernard: Well, I think, one of the most exciting tribes to emerge out of the 2011 census isn’t an ethnic tribe like the Chinese, the Indians, or the Filipinos. Actually, Filipinos are coming in big numbers. It’s a social group that everyone knows called the hipsters. The hipsters are everywhere. I’ve seen hipsters in hipsters on the Gold Coast yesterday. In fact, Melbourne, Sydney, Brisbane, Perth has its hipsters. Jane: What’s a hipster look like? Bernard: A hipster is in their 20s and I think that they are a knowledge worker. Hipsters don’t do manual labor. So, educated, young children of baby boomers globally connected. They’re not married. They don’t have mortgage. They don’t have kids. They got cool haircuts. If they’re not involved in knowledge work, then it’s the creative arts or they might be a waiter or a barista probably in a city cafe or something like that. And I think they’re a major force, so they’ve got to live somewhere. Hipsters can’t survive any more than 5km from the CBD, something in the oxygen, they suffocate. So they can only live in the rarefied atmosphere of the CBD and in a suburb, so Fitzroy in Melbourne and Surrey Hills in Sydney, New Farm maybe and Fortitude Valley and west end in Brisbane, Leederville in Perth. So that’s where they live. Knowledge workers and they live in apartments. They don’t do suburbs. They don’t do cutting grass of whatever. And so, the rise of the hipsters being as a tenant has been a major driver of demand for investment property. Jane: And so, what are they looking at? I mean, obviously, you mentioned units. Do they want to have a little bit of character or they’re looking brand new and funky? Bernard: Well, I think, there’s a mix. I think there are probably hipsters that want the authentic terrace house, hipsters that want a groovy warehouse conversion, might be a bit expensive for them. They actually have to have a full-time job. Bernard: Or share houses, that sort of thing. So I have some friends of my children together in a share house in Brunswick in Melbourne which is hipster central. It’s a converted milk bar. There is nothing cooler than a converted milk bar in Brunswick or hipster central. Jane: Come back to my place on Friday night. Jane: So let’s move onto population growth. So firstly, are we growing? Bernard: Australia is growing at record rates. Almost 400,000 people per year. The long term average is about 220,000 people per year. So that’s, at a high level, it’s a good time to be in property because there are lot of people clamouring to get a property in Australia. Bernard: 400,000 a year. Part of that is through natural increase, part of it from overseas migration, about 240,000 through overseas migration in net terms. It’s double the rate of overseas migration from just over 10 years ago with leverage dot the overseas migrant intake largely to offset the retirement of the baby boomers. So as baby boomers come out of the tax paying phase in the life cycle, you need to backfill and push up more people in their 20s. The young, the fit, the healthy, they don’t want an age pension. We don’t have to invest in them with age care for another 40 years. Jane: But a lot of countries are trying to do the same thing aren’t they? Bernard: They are. But Australia is very attractive. Now, we are a 1st world nation, good quality of life, the perception is that life is better here than where they live. And from my point of view, I think it’s great to have aspirational people coming here giving them a chance and doing something. I want them to be good citizens. I want them to pay their tax and to make a contribution but otherwise I’m a great supporter of the migrant contribution to Australia. Bernard: Well in fact, the most popular port through which to come into Australia remains Sydney and Melbourne, increasingly, Brisbane and then Perth. West Australia or Perth is more likely to get a migrant from overseas from across the Indian Ocean than from across the Nullarbor Plain. People on the eastern seaboard do not want to go Perth. Perth people have, I think, the Nullarbor Plain is a bit like the Berlin Wall. It stops people from the east getting into the west. Jane: And I think they like that. Bernard: They do. That’s right. Now, West Australians are very independently minded. They try to break away from Australia in the depression 1933 but we wouldn’t let them go. Jane: Good, because they have all those minds. Bernard: The good stuff. That’s right. They’re a good investment. Jane: I know when you’re in Perth, they say, so you from back east, do you feel like it’s a whole different world? Bernard: It is. It is another planet. Jane: Okay. So do we expect that immigration will not only increase demand but also that the nature of the demand will change in the type of properties that people are buying? Bernard: Well, I do think that immigrants put their own stamp on property. There is an argument to say that immigrants can’t afford the grand villas, so they’re soaking up the demand for apartments in town and to a certain extent I think that’s true. But I think that migrants that prosper over 10 or 20 years, they have this syndrome of wanting to buy trophy property. It’s a symbol of their success in the new world and I sort of get that. I mean, you come from India or China or Birmingham or Auckland and it’s a big decision to come to Australia, then 15-20 years later, now here’s my property. My son, the daughter, my daughter the lawyer and I’ve got a nice house. It doesn’t get any better than that I would’ve thought. Jane: So, does population growth mean more demanding housing in the future and does this push out values then. Bernard: Well, it’s no doubt that population growth does increase the demand for housing, and yes, basically if you continually increase the level of population, then you’ve got more people competing for a smaller amount of stock which is good but you can’t just keep increasing and increasing and I think it’s plateaued at around the 400,000 people per year at the moment. Basically, what drives an increase in value is not just population growth but also prosperity. So if Australia does well, GDP growth, population growth, export value growth, all of that translates ultimately into our ability to buy a bigger and better home property. Jane: So as people, as their income increases, they’ll be increasing the size of their property which is kind of their status and wealth symbol to the people back home that it’s a good place, so we’re probably seeing what the immigrants from 20 years ago now moving to those suburbs. Are we seeing that in census? Bernard: Well, I could certainly think that is the case if you look at the Greeks and the Italians for example by the ‘80s and ‘90s. They came in the ‘50s and ‘60s, by the ‘80s and ‘90s, they were starting to compete for grand villas, mansions, if you like, out in the middle suburbs. They left places like Carlton in Melbourne in the inner city or Marrickville in Sydney in the inner city, and then popped up in a more aspirational middle class areas, so you do see that transition and so I would expect that to apply to the Indians, the Chinese in the future as well. Jane: So anticipating what their household needs will be in the next 10 to 15 years. Bernard: Well, that’s very much the case, so I think we will increasingly see middle class houses adopt the principles of feng shui. You don’t have the front door and the back door lined up, bad energy, the energy goes straight through the house. So if I was pitching my product property to a Chinese buyer, say in 2018, 19, or 20, I’d configure that property to reflect those principles of feng shui. Now, an Anglo doesn’t see that. They just see what it looks like but a Chinese buyer, I like that property. I’m going to compete for it and I’m going to out beat that Anglo buyer and I think fantastic. I want as many people complete for my property as possible. Jane: So I might have to put a feng shui expert on my renovation team in the future. Bernard: I think just being aware of it would help and I think that people will caught on the idea that actually you want as many as people competing for your property as possible. Jane: So what happens to property values when population growth slows down in a city? Bernard: Property values, when population slows down, then the value of property slows. So the worse thing is to have your money in a property in a rural area where the population is actually declining and of course more people leaving than arriving, it’s an issue of supply and demand again. Jane: . We wouldn’t be buying in mining towns because of that. Bernard: Well, and certainly that is true, that the number of people moving to that town is reversing and population is leaving and that has a negative impact on property values. Jane: So why has Melbourne all of a sudden seemed to caught up with Sydney? There’s a lot of anticipation around Melbourne overtaking Sydney. Bernard: Well, in fact, Melbourne’s population is about 4.4 million, Sydney is about 4.6 million. At the Olympics, the difference was 600,000. It’s down to about quarter of a million at the moment. Melbourne is growing faster, about 100,000 people a year, Sydney at about 80,000 per year and the reason is, I think, affordability. You can still buy a house and land package in Melbourne’s west for 353 to 370,000 Melton and Werribee and that affordability factor I think gives Melbourne the edge over Sydney at the moment. Jane: Interesting. So where will Melbourne be expanding in the future? Bernard: Melbourne is expanding to the north through Craigieburn and to a place called Lockerbie, Beverage, and Wallan as well as to the west through Melton and Caroline Springs, Deer Park and also to the south west. Melbourne has flipped. It used to grow to the south east, just now northwest and southwest. Sydney is still growing particularly to the southwest and the northwest corridor around Kellyville and Rouse Hill and in the southwest around Camden. Jane: And what about Brisbane? Where it’s at? Bernard: Brisbane, Caboolture to the north and Beenleigh to the south. That’s been the trend for the last 30 years or so. There is also some growth in the south west through Springfield towards Ipswich in fact. Jane: And you mentioned Gold Coast as well. 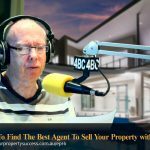 Bernard: Gold Coast is still growing and mostly at the northern end between Mudgeeraba and Pimpama past Coomera and in the west. It’s Perth to the north around Joondalup and to the south Rockingham and Mandurah. Jane: So would you say they’re in the hot spots? Bernard: These are the hot spots. There’s no doubt that Australians still love outer suburbia, so the three bedroom brick veneer or really four bedroom two bathroom product on the edge of town for traditional property. Then, I think there is a different market down town, that hipster market. But it’s not just hipsters, it’s downsizing baby boomers as well competing for those inner city apartments. Jane: So where the jobs are going to be, we’re going to see a concentration in the city centres with the hipsters. Bernard: Well, I think that what is driving this apartment demand in the inner city is job growth, a shift towards knowledge work is associated with corporate head offices, government administration, universities and hospitals, all of which tend to gravitate towards the inner city. Jane: Absolutely. Well, look, I’m going to move on gentrification and the life cycle of people within a suburb. John Edwards, the founder of Residex talked about the way the population within a suburb changes over time so we’ve kind of touched on this. He said that sometimes there’d be two or three generations of people that would live in the same house, content to do very little, maybe renovate slightly but the houses themselves would remain relatively unchanged for several generations and then there’d be this change point and people would start to renovate, proof the house in certain pockets of the suburb and a new generation of moving to that area and he described this as a gentrification, kind of like, nodes radiating out into hot spots as well. You know, from a demographics point of view, what are we seeing here and why is this happening? Bernard: Well, I think that the value of a property changes over time not necessarily because of something that has happened within the suburb but because of the way the suburb— its connection to the rest of the city has changed. So those suburbs that I think John is referring to would be the inner suburbs of Melbourne and Sydney, Brisbane that were dominated by migrant families, if you like, from the 1960s through the 1980s, the 1990s. And they would not have changed value much over that time frame but by the 1990s, the inner suburbs suddenly changed in value because of the advent of knowledge work or the created industries, if you like, people were more educated. And there was also the adoption of this global lifestyle, that hipster life, cafes, bars, restaurants, and it fitted a different more aspirational market and that, I think, was the driving force rather than something intrinsic coming out of the suburb, it was more the suburb’s connection to the rest of the city that changed the value of property in that market. Jane: So, as investors, we want to capitalise on an area’s transformation from the ugly duckling to the desirable swan before the changes actually happen. So we really don’t want to see the changes happen, we want to anticipate it. So, how can we identify the first signs of that gentrification and what changes do we see in the data to allow us to say this? Bernard: Well, it’s interesting. I always thought that the advent of market umbrellas, you know, those market umbrellas will show the advent of gentrification but cafes, bars, restaurants. So you see, a milk bar with plastic fly strips disappearing and the cool deli coming in is a sure sign that the area is changing. You can actually track it through the census when you look at the average income rising, but you have to wait five years for that information but you can actually tell just by walking along the main street the type of people that are coming and going into the commercial areas or just driving around the suburbs at the streets and seeing which houses have been made over if there are houses left in the street that have yet to be renovated for example. You get a feel for that. You can do that on a suburb by suburb basis or even on street by street basis and say well there are several properties that have yet to be redeveloped in the street but clearly, other properties have been redeveloped so it’s being able to spot that transition I suppose just by being aware of what’s around you. Jane: And I guess, being on the ground and doing inspections, do renters go first and then property owners? Bernard: Into an area? I would say very much renters first and then property owners, most like a transition phase. Jane: So, the drivers of gentrification we talked about income increasing. Is there anything else that’s could kind of be a driver of that gentrification? Bernard: Well, not just income increase but the increase in income is like the final step. Changes in education, high levels of education or skills. But then, that’s expressed ultimately in income levels as well. Jane: Now, Bernard, I promised an explanation of some of the funnier terminology that you actually have. I know there are clumps, and dinks, and yuppies, and empty nesters, and nettles, and Peters, and keepers, and cougars. Are there any big ones that I missed? Bernard: No, no. I think you’ve got them all there. The one that I’m fascinated by at the moment and I mentioned are really the hipsters. They just seemed to have come out of nowhere. They’re everywhere and you can tell there are hipsters present if you can see smashed avocado on the menu of cafe restaurants. Bernard: P-U-M-K-I-N-S, professional urban middle class in nice suburbs. I think you’re a bit of a PUMKIN there obviously. Jane: Oh, do you? Oh, thank you, I think, maybe. And cougars? Bernard: Cougars. Well, that is not an acronym. That refers to women who actually partner with a younger male. So this is the—there was a television program based on that concept. Jane: Yes there was. And KIPPERS? Bernard: Kids in parents’ pockets eroding retirement savings. Everyone loves the KIPPERS. Bernard: Well, no. In fact, parents have a love-hate relationship. They complain about their kids living at home but secretly they love it. Jane: Okay. Well, I just want to move on to employment quickly. You did that say that employment and the type of employment also helps drive some growth in the areas. Bernard: Employment rate is absolutely critical. You can’t take out a mortgage, and a big mortgage to compete for a residential property unless there are jobs. So look first for job expansion and job expansion most likely in the knowledge industry. So hospital expansion or university, for example, if you had an apartment product near a university, near a hospital, near the inner city, then you’ve got everything happening in the one geography. Jane: And aging population, how is this going to change the type of properties or as investors, is an opportunity there for us? Bernard: Well, I do think that aging population does create opportunity. A lot of people think, well, they’re going to sell up their house and move to the gold coast and some might do that. I think more people will downsize, and so so the big rambling suburban house becomes unmanageable and they have to downsize, so you sell the three bedroom, two bathroom house in Hornsby and relocate not necessarily—not to the Gold Coast and not to an inner city groovy apartment but in the local area because that’s where all your friends are. Bernard: That’s your shop, you go to this local church, not going to disconnect from your community. Jane: So downsizing within the area is a good thing. Bernard: Downsizing within the area. And I know that all the people always like single level because they’re concerned about getting upstairs and a bit of a garden. Jane: A bit of a garden. Bernard: A bit of a garden. Jane: And what are the things that investors should be aware of and watching for in the next few years and you’re obviously a futurist, you’re looking out there, wealth of information. Bernard: Well, I do think that big infrastructure projects in every capital city like in Melbourne at the east west tunnel which has been put on hold but there are other projects like connections between the CBD and the west Footscray might be. In Sydney, there’s a project called West Connects which will change the accessibility of some suburbs to the CBD. So, those big sweeping projects that can change accessibility between where people are living and the knowledge work location like the CBD. That to me is where you should be focusing or looking for transformative projects is really what we’re looking for. I know in Brisbane, they’re talking about the BAT Tunnel. That’s the bus and train tunnel. All of a sudden gives new accessibility between, I think, it’s Woolloongabba and the CBD and so Woolloongabba would be a place to look at. Jane: We’ve covered so much stuff. So in summary, I guess the big points I’m taking away is that buy with the end buyer in mind, understand who your market is, look back at history but take it to the future, don’t use information in isolation. Bernard: Exactly. Look at—try and get the momentum of change rather than just a snapshot. A snapshot by itself is not helpful at all. Jane: The hipsters or the people that we’re going to target? Bernard: It was sea changers and now it’s the hipsters. I have no idea what lies beyond hipsters. Bernard: Well, the first thing is to actually get into property as early as you can, as young as you can. Buy into a solid market that’s growing. Buy into a community or a suburb where you see that there is greater opportunity in the future rather than less. Buy into a market where there is limited supply. Maybe you shouldn’t be buying something on the edge of town. That’s for homeowners. Investors, middle, inner preferably, and be careful of what you buy. You make your money on your way in as well as on the way out. Get a frugal price. Jane: Oh, great advice. Well, look, it’s been wonderful chatting with you today and thank you for being generous for sharing all your information. Look, if people want to find some of your information, where do they go to? Jane: Perfect. Well, thank you so very much and I appreciate you coming along. Bernard: My pleasure. Thanks Jane. John: Who said statistics are boring eh? Jane: Yeah, I really like his approach and the way he presents his information. John: Yeah, he’s good fun and I’ve got an entire page of notes here, as I can see you do too. And also, we should remind people that we have Suburbs Against the Clock coming up shortly. However, before we go to that, I wanted to ask you a question. We said in the introduction how getting this right, the target market, the demographics is often overlooked by investors, so what are the key benefits for someone listening of getting this target market right? Jane: So, the benefits of having the right property for you strategy and for the demographic in an area, my gosh, it has so many benefits, like, years of multiplied returns because you’ve got the demand there, accelerated portfolio growth, getting to your goal sooner, you know, all these things come about by having the right property in the right area match that target market. John: Yup. Okay, so let’s reverse it. What are the dangers of ignoring the target market in an area? Jane: Well, it could be things like having a lemon of a property, having a property that no one wants to rent and then you can’t even sell it if you have to try to get out. You could go backwards. Your whole portfolio could stagnate, and you know, the worst thing in my mind is that you give up on property altogether. Jane: So, you know, I look at property investing as a business and you need to treat it like a business too. And if you remember when Bernard started out, he was interpreting information about demographics for shopping centres. And this was obviously very important to the shopping centre owners who not only needed to know that there was demand for the shopping centre but what types of shops were needed. Now, knowing this demand was crucial to their businesses, so if we’re treating property investing as a business, we need to apply that same demographic information to our business. Jane: And John, what has got me thinking about this again recently is that I was working with a client and we’re taking a look at her current portfolio because she was considering selling a unit that she owned. Now, we assessed her portfolio in the same way that we’d assess it as if we were going to buy it today. So we looked at the potential growth, we looked at the type of people who are buying and renting in that area and we looked at the area itself. Now, when we came to looking at the demographic information, i.e., who are the people living in the area and what do they demand or in other words, what factors are driving their behaviour. We discovered a problem. In this area, 70% of people lived in houses and she had a unit. In this area, 7% of people rented and the rest were homeowners. So there was barely any rental demand, and in other words, there was very little demand present to achieve a successful buy and hold strategy in this area. She had the wrong type of property for what the target market wanted. John: A-ha, and so, was it worth her keeping the property? Jane: Well, in the long term, it actually turned out that the rent wasn’t that great. There wasn’t such a good yield. The predictions for capital growth weren’t there either, so this was actually a property that if you’re going to buy today, you’ll probably just walk away from. But you can see how this type of information, i.e., understanding your target market and understanding how a suburb fits into your strategy is so important. Jane: And as Bernard said, there’s a story behind the numbers, so when you’re looking at the numbers, you need to convert that into the people’s stories behind the numbers. John: Yeah, that’s great. I love the way he does that. I also really like the way he incorporates history into his analysis and he talked about knowing how a suburb has changed in the past that they can predict what it’s likely to do next and he said, understanding changes, understanding way of being to be able to see a pattern. So I like that and the other one I’ve got here is, some people view the past a fussy mush, and he views the past like a filing cabinet. Jane: I love that. Look, he actually trained as a geography and history teacher. John: Yeah, as did [Jane 00:59:23] Thomas. Jane: Yeah, but he didn’t continue because he didn’t like other people’s kids, which I guess, you should probably find out early before you become a teacher, right? John: Yeah, good thing. I had a few teachers at school that probably could’ve learnt that lesson a lot earlier. Jane: It’s interesting. As mortgage broker, I get to see everyone’s income and expenses and budgets almost daily and what I’ve seen over the last period of time is there is quiet confidence. People’s properties more so than not have risen in value and they have this kind of, I guess, embedded wealth and there’s that kind of well, we don’t want austerity anymore, we probably do want the new car or maybe we do want to renovate and you know, I’m actually seeing more and more people with for instance and maybe taking in a bit more credit card debt, so yeah, it’s an interesting phenomenon that we’re seeing. John: Yeah, and then we moved onto the population stuff. He said the Australian population is growing at a record 400,000 people per year and of that 240,000 people are from overseas migration and that has doubled in the last 10 years and the reason for that is to offset the retirement of the baby boomers. Jane: Absolutely. And I think a combination of population and prosperity definitely drives growth. Jane: And it’s great to see, you know, these inspirational and aspirational people coming from overseas. And as you said, the migration contribution to Australia has been absolutely massive. John: Yeah, I mean, we know that anyway don’t we. The kids of migrant families are twice likely to attend university than the average population. You know, they make the most of their opportunity and we all get the benefit of that. And he also said that as the population decreases or slows, so does the property value. So you see that in the rural areas as the jobs evaporate or in mining towns, these things change there. Jane: But Melbourne is growing faster than Sydney. Jane: Well, just mostly because of affordability and it has more areas to expand in also in Melbourne, so mainly to west and northwest Sydney, there are some expansion to the northwest and southwest Brisbane, expansion to the north and southwest. The Gold Coast is expanding—almost met Brisbane I think to the north. John: Yeah and Perth. He said, more likely, people on the east coast, the Nullarbor Plain’s like the Berlin Wall. People are more likely to migrate across the Indian Ocean than they are across Nullarbor Plain. I think that was funny. Jane: Absolutely. It’s a different world. John: Yeah, there you go. Jane: And the typical Australians love three bedroom two bathroom houses in the burbs. Jane: And so, he also had some interesting things to say. I’ve got here my notes on gentrification. Things like, talking about the suburbs there on the up and up and he said these suburbs are really, a lot of them he’s seeing the rise in the income levels and the number of professionals present in these areas. John: Yeah, that’s really interesting. This is something, I mean, we’ve looked at this when looking at the demographics too and the income levels and you can see pockets of it and you see more houses been renovated and he was just talking about walking on the streets and you can see it, you know, and you can see the houses starting to change and be renovated. Jane: And also, suburbs connection to the city does change over time as, you know, it might start out with migrants or workers and then as the creative industry is moving in, it can be seen as an alternative place for people to live and there are lot of those in the city suburbs and they’ve changed due to that global lifestyle in early ‘80s, ‘90s and 2000s and you see then the cafes, the restaurants, the coffee bars, so that’s a good sign of gentrification. John: Yeah, that’s right. Another good sign was when your local milk bar turns into a deli or your cafe has smashed avocado on the menu or something. Jane: Yeah, exactly. And generally, the renters move in first followed by the buyers, and make sense, the renters come in, there’s a shortage, rents go up and investors go, “Hello.” We want to buy here as well. John: Yeah, make sense, yup. Jane: And there are a lot of good tips he also had for us. John: Yeah, he talked about when you’re looking at data, you need to be careful not to be just looking at a snapshot. You need to look at the data in the context of time and it’s the momentum of change that tells a story. Jane: And he also talked about employment is an important part of suburb development. Obviously, people can’t take out a mortgage unless they have jobs. John: Yeah and looking at areas with jobs in the knowledge industries and also hospitals and universities are particularly good. Jane: And the opportunity with the aging population, the downsizes as well wanting to downsize to a local area, a single level accommodation with a bit of a garden. John: Yeah, a bit of an opportunity there. And one of the reasons of population increase is because of large scale infrastructure and he gave the example of the Heysen tunnel in Mount Barker in South Australia. John: Within range of the city. Jane: Yeah, so some general property investing advice he shared, get into property early. John: Yup and where there’s limited supply, so not on the edge of town and he also said you make money on the way in. Jane: Which we love. Part of the trident strategy, right? Jane: So John, another huge episode. We have a huge amount of takeaways for everybody including us. Jane: Hello. We got you Mariana. We can hear you. John: What city would you like to play for Mariana? John: Melbourne, okay, wonderful. Just to recap, basically we’re going to ask you to name 10 suburbs in Melbourne, they’re going to have a particular characteristic to them and you’ve got 20 seconds to answer it. Sounds fair? John: Ah, so you do like the question. All right. Mariana: Yeah, yeah. I love it. John: She’s very eager isn’t she? John: I’d like you to name 10 suburbs in Melbourne that have a train station. John: Ten. Yes, you got ten. Jane: You did it. Yes you did. John: Well done. Job done well. John: The pressure, the pressure. Mariana: Especially when you’re under pressure, you forget all the suburbs. Jane: Thanks so much Mariana for being part of it and a good sport. John: If like Mariana, you’d like to take on the intense cauldron of pressure, that is Suburbs Against the Clock, simply e-mail support@yourpropertysuccess and use the subject line, Suburbs Against the Clock and you can also give us some suggestions for our future questions. Jane. Jane: Well, John, that is it for today. A huge thank you to our fabulous guest, Bernard Salt. Now, if you have subscribed to the podcast on iTunes or the like but you’d like instant access to the transcript of today’s show, free training we have for our community, and all of the show notes and links to everything mentioned on the show, things like Bernard Salt’s websites, KPMG, the Australian Bureau of Statistics, free property investment guides and courses and so much more, simply go to www.yourpropertysuccess.com.au/ep6, that’s your property success dot com do A-U forward slash the letter E for echo, P for papa and the number six or simply Google YPS Podcast. Jane: So that’s all for today. Everyone stay safe and here is to your property success. John Hubbard: Yeah, no, that was great, really good read. John 1: You know, the cadence felt right. It all felt right in today’s read don’t you reckon? John 1: Did you hear the empathy? John 2: Absolutely. That was great. John 1: Could it do maybe a little more you think? John 2: Empathy? No.I think it’s good. John 1: Are you sure? John 1: Can we just bring it up again John. I just want to hear it back one more time. John 1: From the top, thanks John.